1886 Founding in Halle an der Saale by Carl Wilhelm Caesar and his cousin Otto Loretz, focusing on trade and commerce, processing (and also partial cultivation of herbs), in particular for pharmaceutical applications. 1953 Nationalization and renaming of the company by the former GDR. Relocation of Rudolf Caesar, C.W. Caesar's son, to BRD and new start in Michelstadt/Odenwald. 1959 Relocation to Hilden/Rheinland. 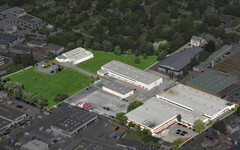 Expansion of the company and extension of business activities (especially raw materials). 1962 Takeover by the von der Linde family. 1998 Takeover of the Vaselinfabrik Wasserfuhr ‑ then over 100 years old - in Bonn (production: ointments, fat oils). 2013 Approx. 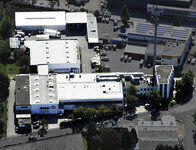 210 employees working in both Hilden and Bonn locations.